Find My Workspace lists over 95% of the business centres market in Easingwold. Simply click Request Quote to check pricing for one office, or Add to Basket for multiple offices. 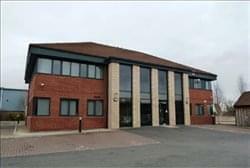 These are very nice professional office spaces, with access to all major roads within minutes (A19, A1. They are serviced or leased office space of varying sizes available. There is free car parking available on site, with high speed broadband and telephone system available. This is a modern building, with cleaning available and modern workstation desks available. To obtain information for your selected North Yorkshire Business Centres, please tick the "Add to basket" box for each office you prefer and complete the form below. We will then send a detailed report via email.